My husband & I are on a really tight budget which means simple home-cooked meals every night. This week chicken, spareribs, and Italian sausage are on sale, so all of our meals will be based with these ingredients. There are not many veggies on sale so I will be sticking with the cheapest including broccoli, corn, and lettuce. These meals will feed 3-4 people. **Make double and freeze the extra for a meal next week. Instead of buying lime & cilantro use canned tomatoes that contain both. 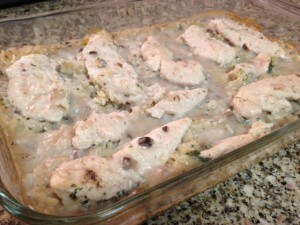 Tonight I wasn’t in the mood to make an extravagant dinner, so I settled for something extremely easy… Chicken & Rice Casserole with 4 ingredients: chicken, rice, cream of mushroom soup & water. Spray pam on the bottom of a 13 x 7 baking dish. 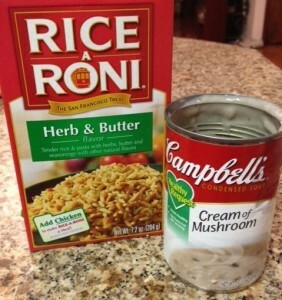 Mix 1 cup water with one can of Cream of Mushroom or Chicken Soup and then pour over chicken. Bertolli is offering a new iPhone app! It features cooking videos & pictures of over 100 delicious recipes. Click the above banner to check out this new app! We all love to receive magazines, but after you read them they usually end up laying around. 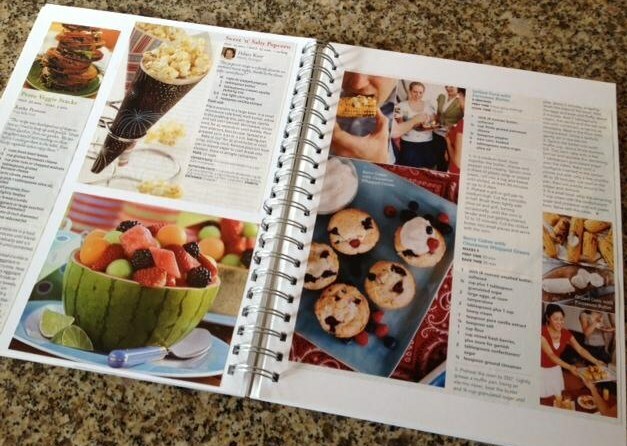 I love this idea to create your own recipe book with all of your cooking magazines. I receive Everyday with Rachael Ray & Taste of Home Magazines. As I read them, I tear out all my favorite recipes. The leftover magazine goes directly into the trash and the tore out recipes go into my custom recipe book! Orange Eggs! It is a simple yet delicious recipe. All you do is add a little orange juice to scrambled eggs. It gives normally bland eggs a sweet taste. I hope you give it a try!